Inspired by a vintage yellow diamond brooch, this is just precious without the price tag! Perfect to accessorise a bride or her maids with a yellow wedding theme. 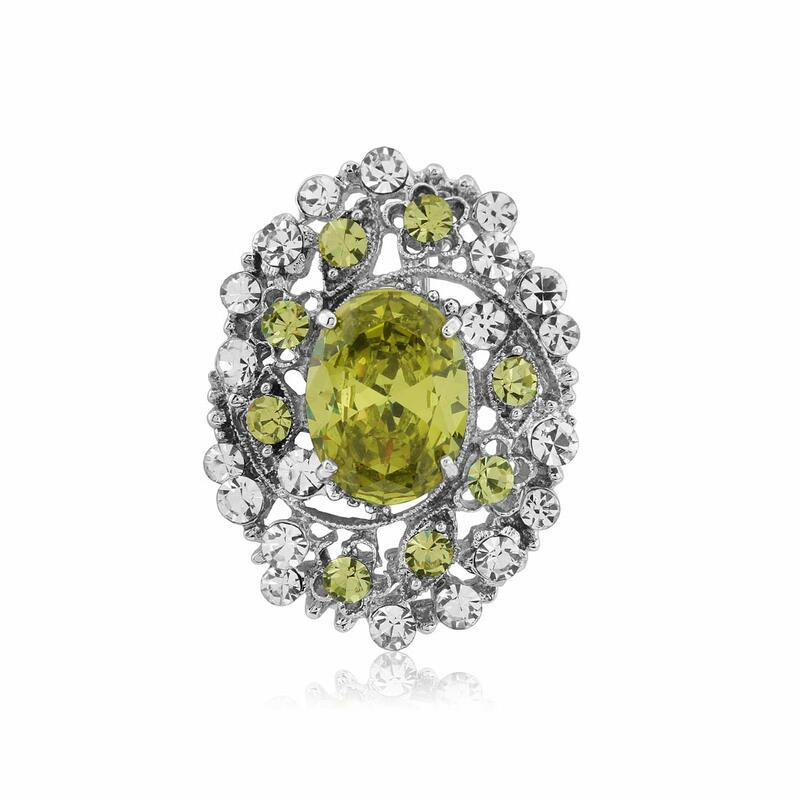 If you've always coveted canary yellow diamonds (and let's face it, there isn't many who haven't! ), our Heiress of Elegance Brooch is a must-own. Featuring the most stunning oval yellow cubic zirconia in an ornate setting adorned with sparkling clear and yellow Austrian crystals, this striking piece takes inspiration from a precious vintage brooch from the early 1940s. If you adore pins that are noticeable without being too bold, this is quite simply a size that could leave people guessing whether it's a beautiful piece of costume jewellery or the real thing. Whatever outfit you choose to wear Heiress of Elegance Brooch with, the colour of the centre stone will make a stylish splash. From a chic black dress to a glamorous wrap or blouse, we think this would make the perfect gift for someone special who adores jewels with a classy, luxurious style.